On weekdays, I usually keep my makeup pretty simple. Foundation, a bit of bronzer and mascara, but when I have a few extra minutes, I like to wear some eyeshadow. I love a good eyeshadow palette. 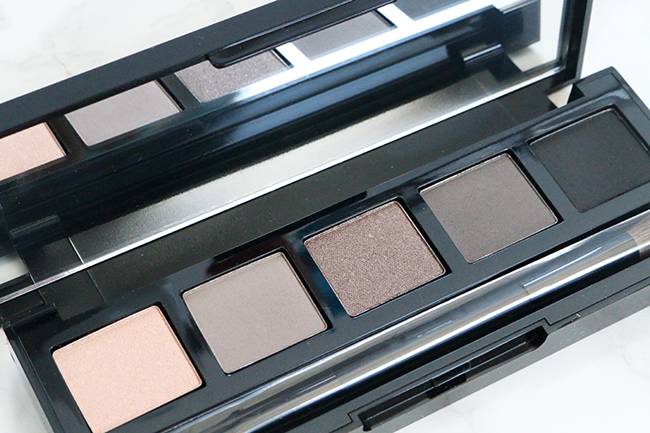 Even more, I love an eyeshadow palette with neutral colours which is great for everyday use. So when I received the HD Brows Eyeshadow Palette in Bombshell*, I was really excited to give it a go. I had already heard lots of good reviews about HD Brows and their brow products, so I was expecting the eyeshadow palette to be just as good. 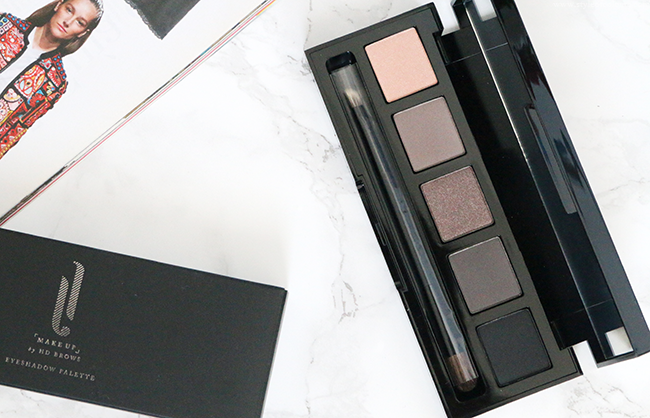 The HD Brows Eyeshadow Palettes are available in Bombshell which includes beige and ash shades, Foxy which is more honey and bronze, and finally Vamp which contains colours like berry and aubergine. 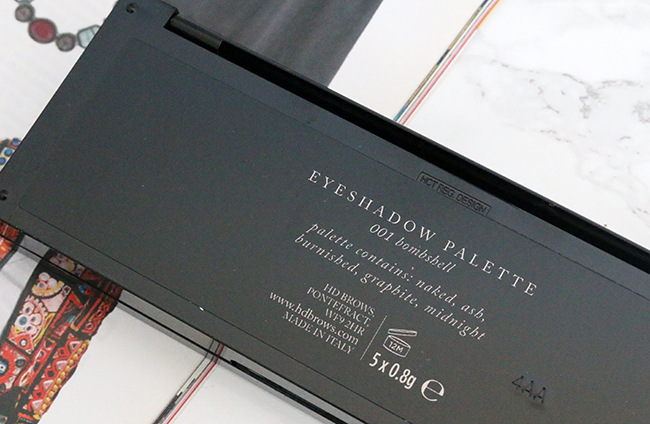 The palette I received is in the shade Bombshell, which is designed for fairer skintones and lighter hair. Now although I don't fit ideally into the target audience, the colours are still beautiful on my skin. The palette contains 5 different shades ranging from light to dark letting you do a complete makeup look with just this palette. The colours are: Naked, Ash, Burnished, Graphite and Midnight. 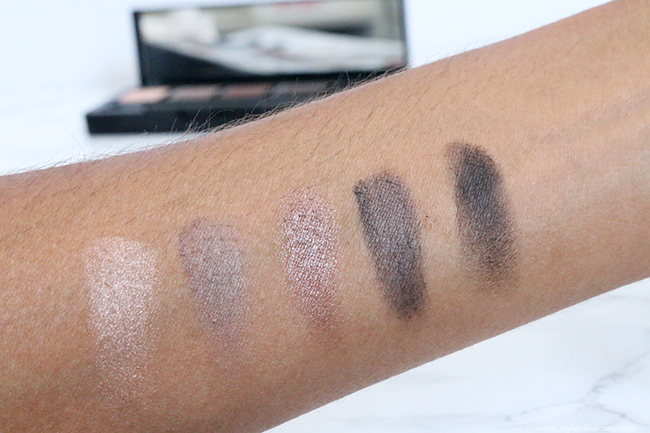 As you can see from my swatches, the powders are highly pigmented and have a satin or matte finish. I use the colour 'Naked' which is a glittery beige, on the inner corners of my eyes, and apply a mixture of 'Burnished' and 'Granite' to my crease. The powders blend easily and once done, the final result is gorgeous. Without an eyeshadow primer, the eyeshadows last about 6 hours. But if you prep your eyelids with an eyeshadow base prior to applying the eyeshadow, it stays put for about 10 hours without creasing or coming off. I am very impressed it stayed so well, considering the current weather in Barcelona, which makes me believe it would last even longer in the winter months. I'd really recommend this as a travel eyeshadow kit because it's easy to carry around and the quality is amazing. Dislikes - a bit pricey. 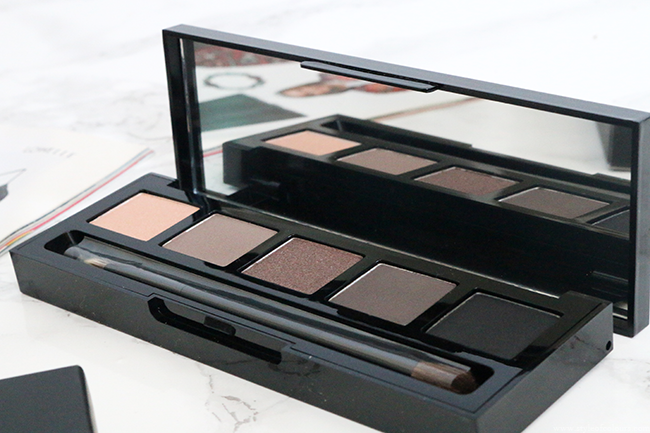 Have you tried the HD Brows Eyeshadow Palette? What is your fave palette?